President Obama was sworn in to serve his second term on Monday. While he laid out his blueprint for the next four years, there was one important thing missing from his speech: the national debt. 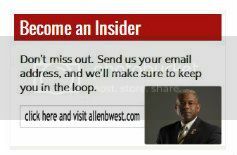 Col. Allen West and Michelle Fields discuss why the President, and even Republicans in Congress, are dodging this important issue on this Next Generation preview. Watch the discussion here: What Was Missing From Obama’s Inauguration Speech? This entry was posted in Economy, Next Generation TV and tagged Allen West, Barack Obama, Congress, economy, Fiscal, Michelle Fields, Next Generation TV, Obama, President, Republican, spending cuts, United States, United States Congress. Bookmark the permalink.